Helena Ann Kennedy, Baroness Kennedy of The Shaws, QC, is a British barrister, broadcaster, and Labour member of the House of Lords. For this Gray&apos;s Inn Reading she lectures on The Great Divorce: Brexit and the Law. Barrister, broadcaster and member of the House of Lords, Baroness Kennedy is a leading barrister and Queen’s Counsel. She is an expert in human rights law, civil liberties and constitutional issues. Baroness Kennedy is a member of the House of Lords and chair of Justice, the British arm of the International Commission of Jurists. She is a bencher of Gray’s Inn and president of the School of Oriental and African Studies at London University. She was chair of Charter 88, the constitutional reform group from 1992 to 1997, the Human Genetics Commission from 1998 – 2007 and the British Council from 1998 to 2004. She also chaired the Power Inquiry into British Democracy in 2006. She has received honours for her work on human rights from the governments of France and Italy and has been awarded more than thirty honorary doctorates. 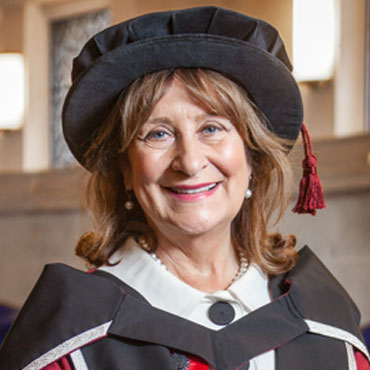 She is an Honorary Fellow of three Royal Colleges – Psychiatry, Paediatrics and Pathology. She was elected a member of the French Academie Internationale de Culture. She has acted in many of the most prominent British criminal cases of the last thirty years including the Brighton bombing attack on the British cabinet, the Guildford Four Appeal and the Michael Bettany espionage case. She is currently acting in cases connected to the recent wave of terrorism including the conspiracy to blow up transatlantic aircraft. She was a member of the International Bar Association Task force on International Terrorism in 2002. She is a frequent broadcaster and journalist on the law and women’ rights. Her publications include the widely acclaimed Eve Was Framed: Women and British Justice (1992 revised 2005) and Just Law: the Changing Face of Justice and Why It Matters To Us All.